Villa Santa Vita was specially built in accordance with the principles of feng shui and it is situated in the gorgeous Buljarica Bay. 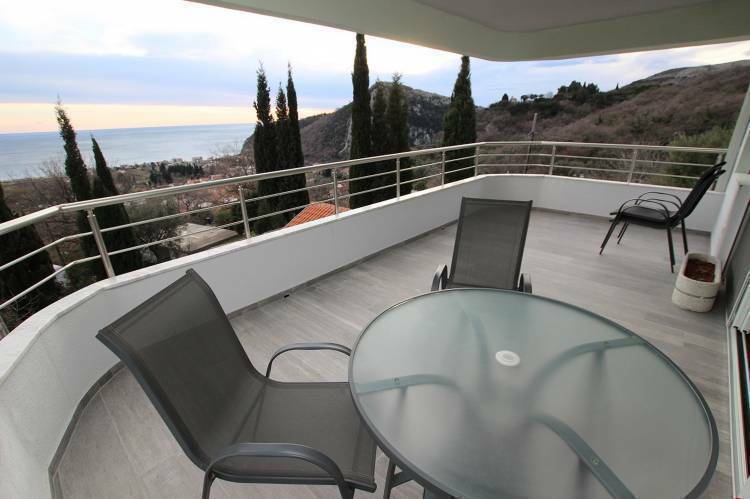 The villa consists of four individual apartments with balconies, all of which have views of the Adriatic sea. These characteristics make the place ideal for leaving everyday life at home and finding inner peace and tranquility. Villa Santa Vita is accessed via a simple but nice mountain path. It can be reached by a car and has parking for three vehicles. It takes a mere 500m walk to arrive at the beach (roughly 10 minutes to the sea and 15 minutes back). The highway, where you can catch a local bus, is 300m away from the villa. 2 km away is Buljarica in Petrovac, a popular place with a lot of cafes. Vacations in June and September are quieter, whereas July and August are busier with a lot of people in the area. Buljarica is halfway along the road from Budva, an old city with a marina and the centre of Montenegrin tourism and Bar, a beautiful town with a small, but beautiful marina). 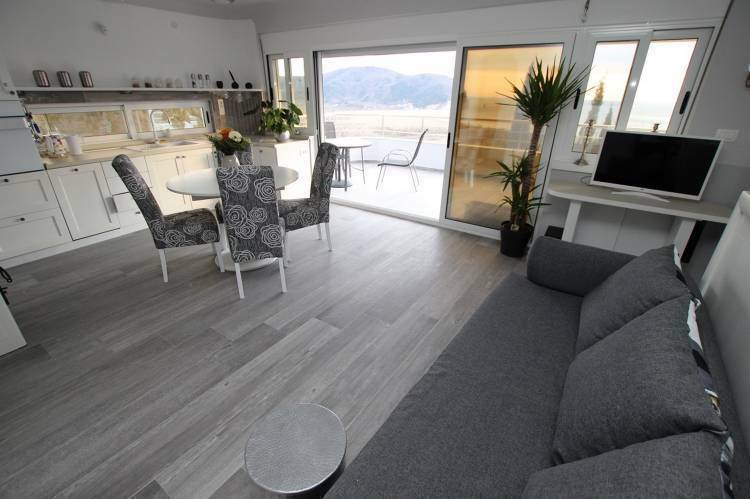 All of the apartments are at your disposal if you are doing a course or just want to enjoy a holiday here. Apartment No 1 ( up to 7 people) This apartment provides comfortable accommodation for four people. There are also three extra beds for additional children or adults if required. 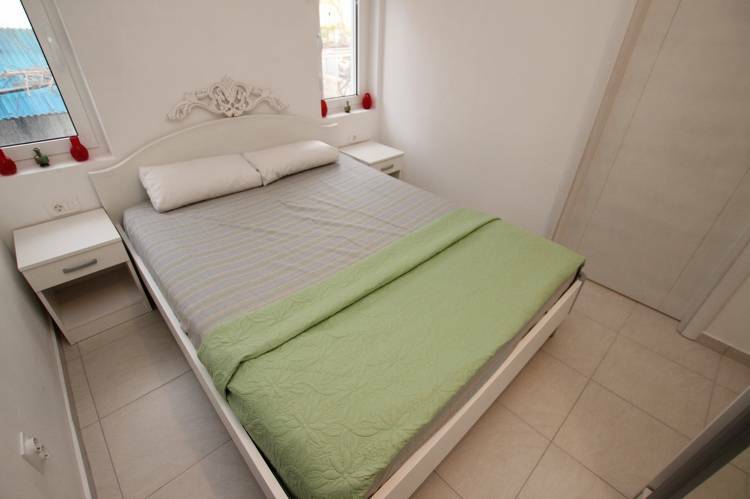 The apartment includes: A spacious bedroom with a double bed which can be separated into twin beds. Also, one extra bed for a child or adult is available. A spacious living room with a kitchen area. A comfortable sofa bed with a coil mattress for two people and one extra bed for a child or adult. 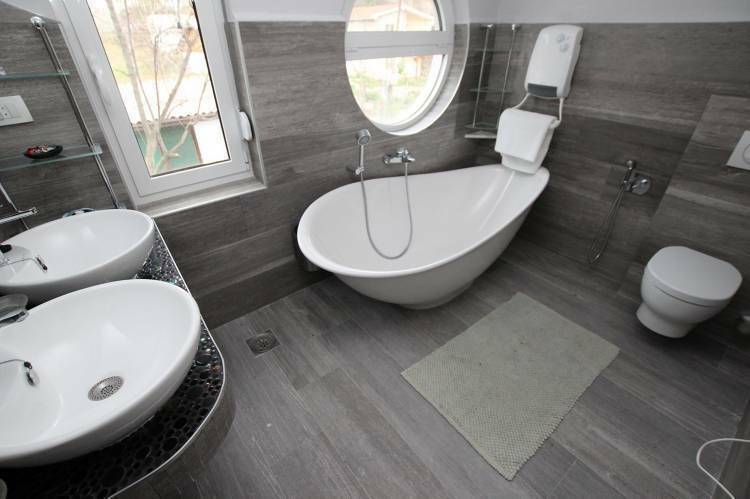 A spacious bathroom with a double wash basin, bath and shower. The bathroom can be entered from both rooms. 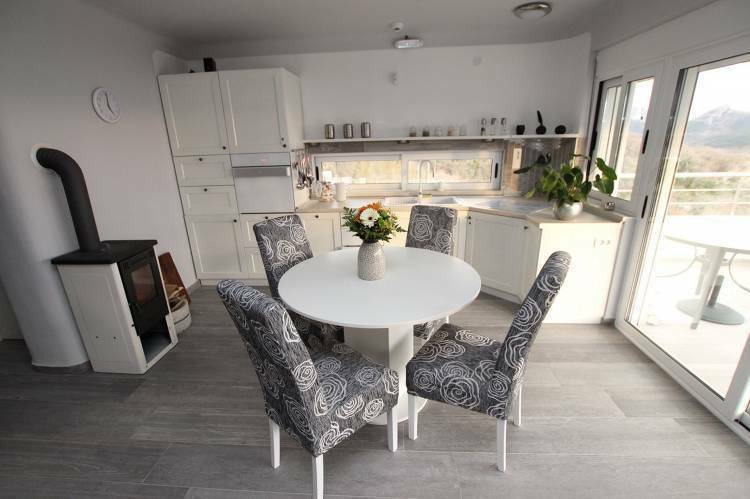 Apartment No 2 ( up to 5 people) This apartment provides comfortable accommodation for four people. There is also one extra bed for a child or adult if required. 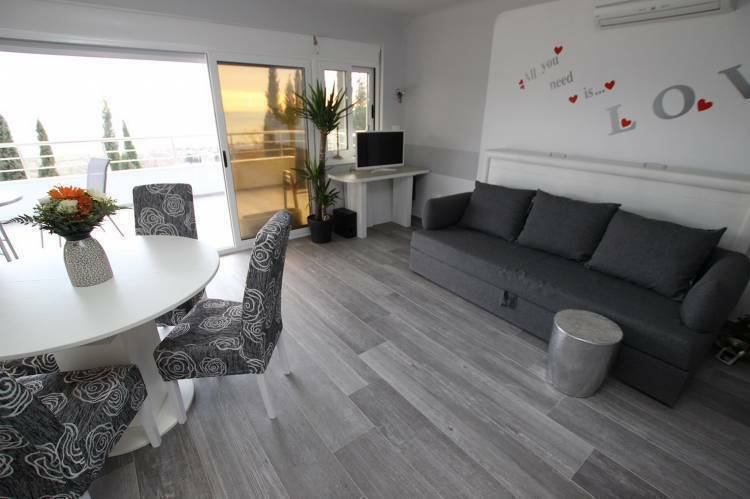 The apartment includes: A spacious bedroom with a double bed which is 1. 6 m wide. A spacious living room with a kitchen. A comfortable sofa bed for two people. Also, one extra bed for a child or adult is available. A spacious bathroom with a double shower. Entry to the bathroom from both rooms. A large terrace with a sea view. Apartment No 3 (a studio apartment) A lovely feature of this apartment are the curved walls which, according to feng shui, give a special harmonious atmosphere. The apartment includes: A spacious living room with a kitchen. A comfortable sofa bed with a coil mattress for two people. One extra bed for a child is available. A bathroom with a bath and a double wash basin. A separate bathroom with a toilet and a wash basin. A wardrobe. A spacious terrace. In the event of cancellation guest pay 30 % from base price.